Asparagus is divine no matter how you prepare it – and it’s often the simplest recipes that allow this seasonal treat to really shine. 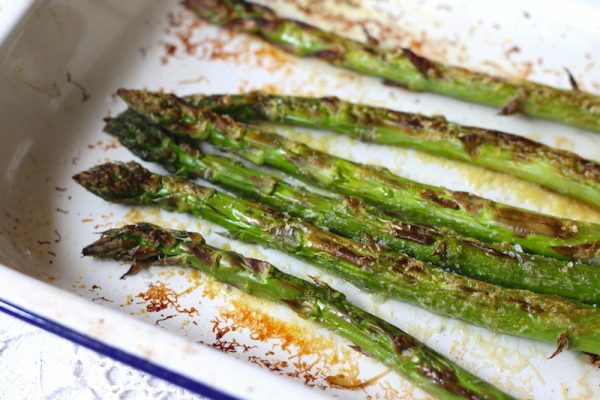 Asparagus season is so brief, but when you get tired of steaming with butter and salt (if that’s even possible! ), roasting or grilling this wondrous veg is a welcome change. Add good quality organic parmesan and it’s fit for a Queen. 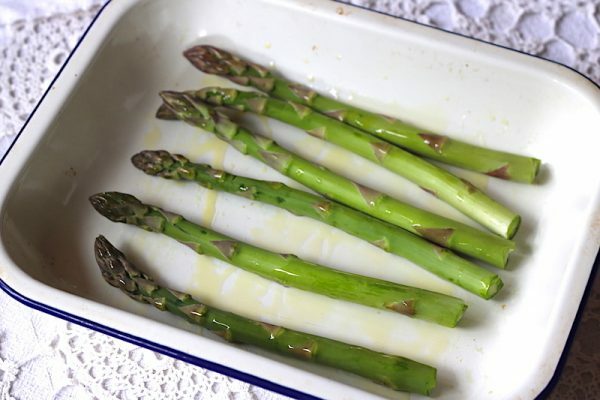 Pour the olive oil into a shallow baking dish big enough to hold the asparagus in a single layer. Place the asparagus in the baking dish (you may need to trim the woody ends to make them fit) and toss in the olive oil to coat. Sprinkle with a little of the sea salt and all of the parmesan cheese, grated. Place under the grill on about medium-high heat and put the asparagus underneath so the asparagus cooks through and parts of it brown up. The cheese should be bubbling and beginning to brown by the time the asparagus is cooked, anywhere between 5 and 10 minutes. Remove from the heat and sprinkle with a little more organic sea salt and some cracked black pepper.